For tween girls like my daughter, it seems the more you can personalise something the better, she is terrible for doodling on all her books, sticking pom poms and glitter onto her shelves and generally adding a dash of bling to anything in any way she possibly can. She is not one for conventional toys, she won't really sit and play with anything for very long, so finding something to withheld the boredom isn't always easy, yet arty crafts pens and paper is something that she enjoys and will happily do by herself. So when we were asked if we wanted to take a look at the new Blingles Bling Studio from Character, which is aimed at girls aged 6 and above we were eager to get our hands on it. 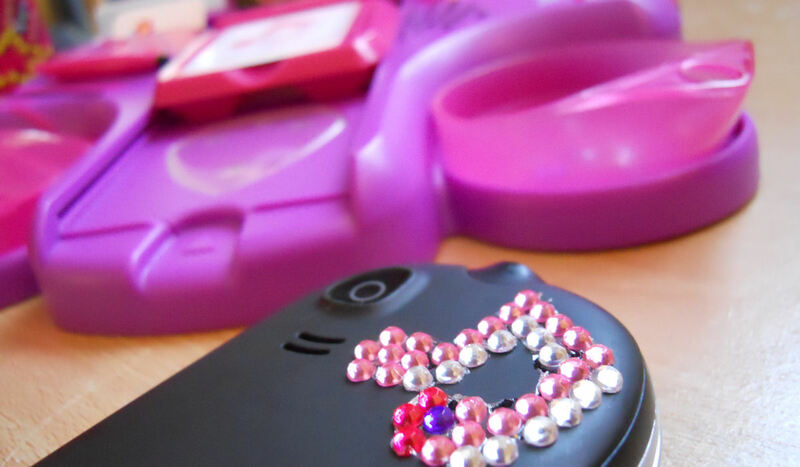 If you have a girl, or indeed a boy, who loves to get arty, you may well already be aware of the annoyance that can be caused by home craft kits, the ones with the annoying glitter glue that simply never actually sticks to anything, or the packs offering to enable you to make something wonderful that ultimately never materialises, or the tiny parts which end up no where useful but turn up under the sofa, in the bed, and everywhere they shouldn't be for weeks after. 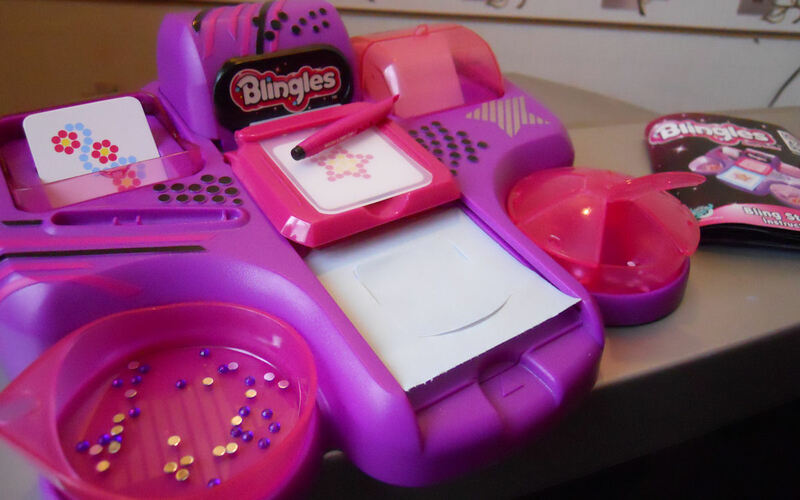 Well the Bling Studio is different, it is a novel idea meant to make adding a touch of bling easier, and it really does work. 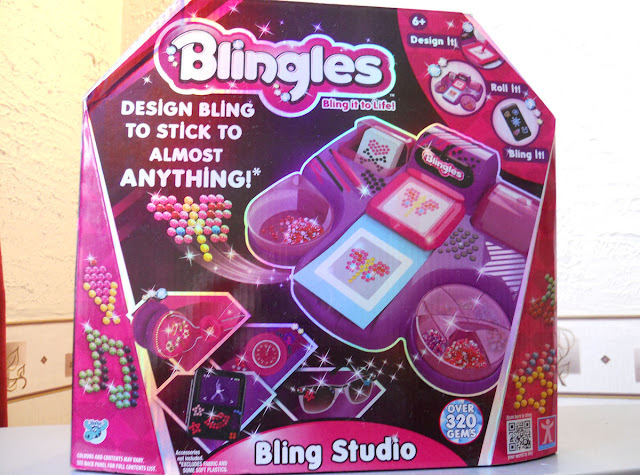 In the Bling Studio set you get the Bling Studio itself with over 320 gems in various colours, a handy gem storage container, a gem pen, glue roll, transfer slides and instruction booklet and several design templates. Now my daughter has used sellotape, prit stick, blue tack and just about ever other slightly sticky substance in the past in a desperate attempt to style her books, bags, phones and such like with glitter and gems and every time she does so she is proud of her efforts and comes skipping along to show me how she has defaced her DS and I can't help but show my disappointment in the tatty effect shes created, with strips of tape and splodges of glue hanging off messily. 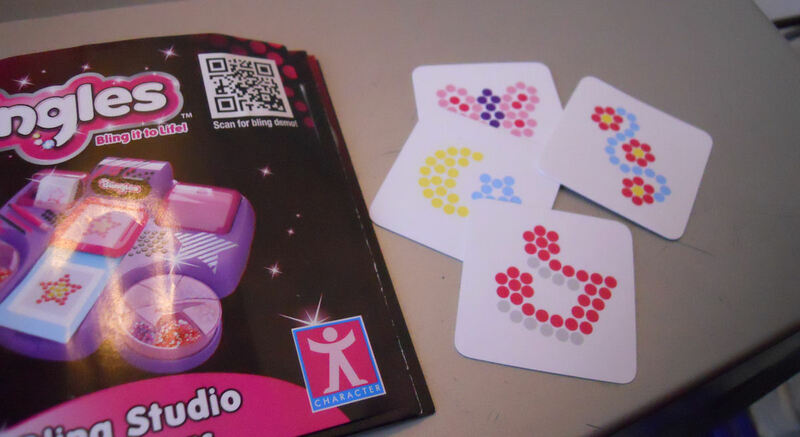 Then you use the transfer sheet to pick up your design and place it on the glue roll which adds a strong sticky glue layer to the underside of your gems, when you then press them into place on your chosen item and peel off the transfer sheet you are left with just the gems. It is important to read the enclosed instructions carefully in order to get the order right, but it is very simple and I showed Chloe once and she was perfectly able to use the kit herself afterwards. Included in the box is 4 template cards which are double sided, or you can make up your own designs. 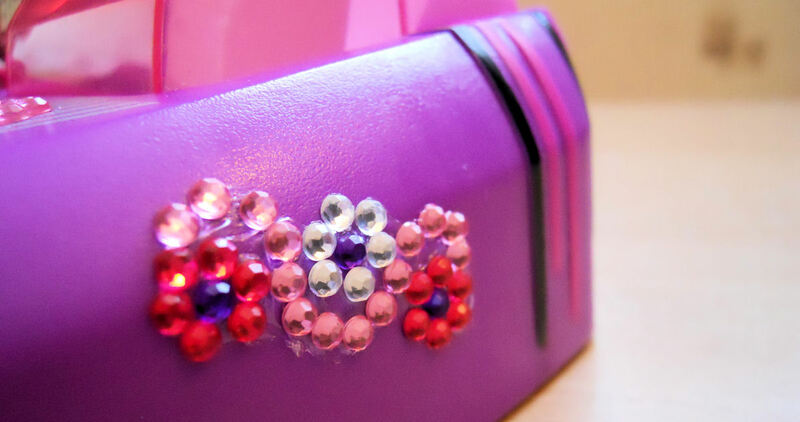 With that in mind, I still think this is a great idea for crafty tweens and Chloe really loved it, so much so in fact she took it into school on their last day when they were allowed to bring along an activity and although she returned home having used up all the supplies she said all the girls in her class loved it and wanted to bling everything! It was simple enough for her to demonstrate how to use to her friends, and impressive enough to hold every ones attention. The finished designs are great and have stuck to a number of things, including Chloes mobile phone, the bling studio itself, paper notepads, fabric pencil cases and school bags and I will be buying some more accessories as birthday and Christmas gifts, the studio itself is sturdy and will happily sit on her shelf until it is refilled with additional gems, it really is effective in providing a way to move and position the tiny gems enabling you to have a very usable end result. Thank you for such an honest review.Its fantastic to find a review of a toy which has been tried & tested by a child & parent. i Have also bought my kids craft sets in the past which did NOT do what it said on the box. 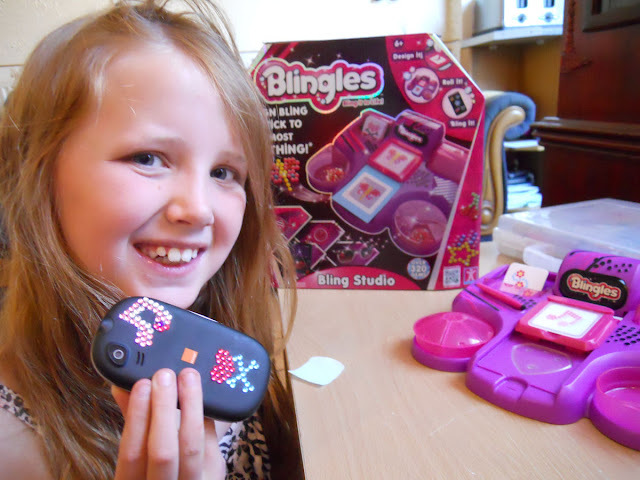 having read your review we will be adding blingles to the christmas list.